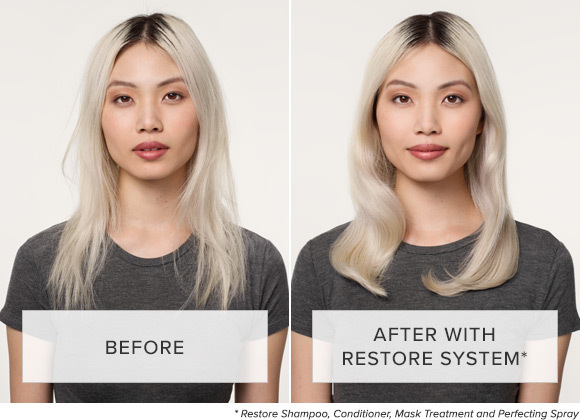 - Cleanse and condition with Restore Shampoo and Conditioner. 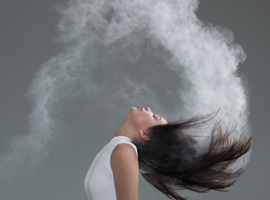 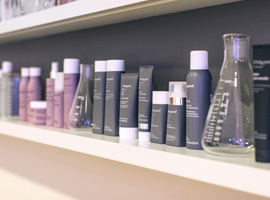 - Want deep conditioning? 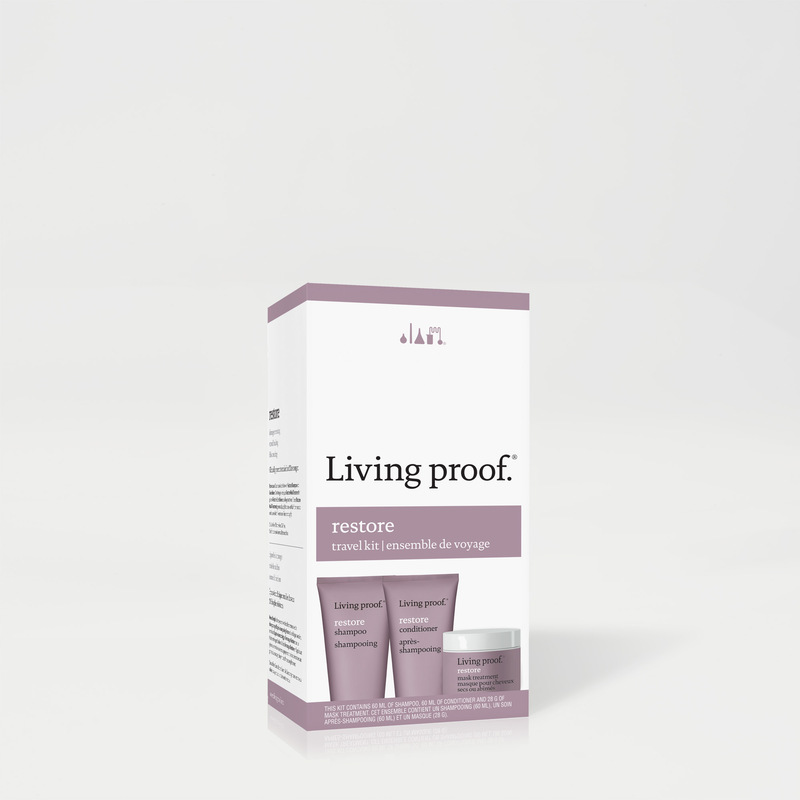 Apply Restore Mask Treatment generously to clean wet hair, leave on for five minutes, and rinse thoroughly. 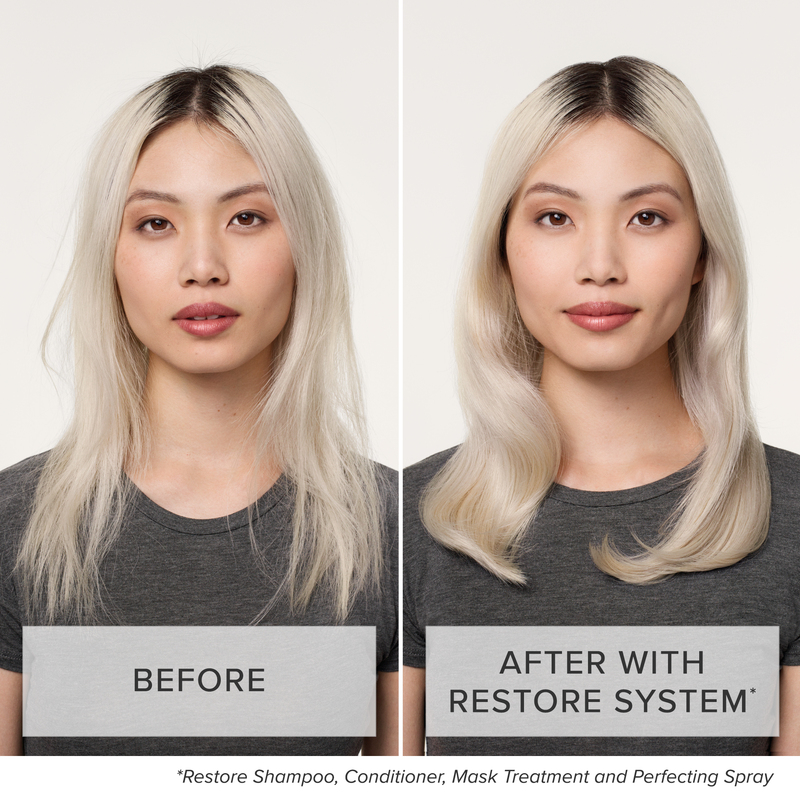 - Spray Restore Perfecting Spray on clean damp hair focusing on tangled areas and comb through. 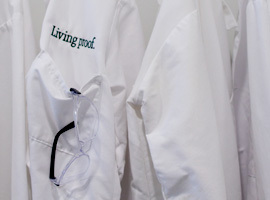 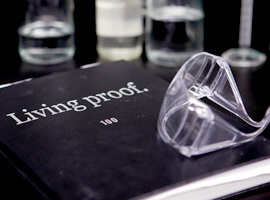 If you have questions about the Restore travel kit, please contact us at questions@livingproof.com.